Once again we find ourselves sprinting to finish posts about the Michigan Beekeepers Association Spring Conference before it is time for the next Spring Conference. Here then is a report on a presentation by Ned Stoller of AgrAbility. Briefly stated, the organization tries to allow disabled and/or aging agricultural workers to carry on productively working. It provides individual solutions that are some mix of body mechanics, modified techniques, special tools, and powered equipment. The last two are sometimes specific to the job as found, sometimes cleverly bodged, and sometimes re-purposed from an unrelated area. Serving farmers, ranchers, and foresters for years the organization has recently been approached by beekeepers. It is well known that Langstroth beekeepers1 tend to develop back problems from repeatedly bending, reaching, and twisting while lifting heavy hive bodies. Part of the solution is the simple one of learning correct technique for lifting and carrying heavy objects. 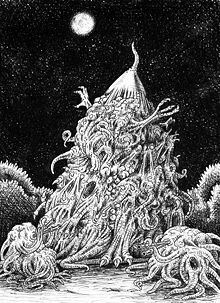 Another is the common practice of replacing deep hive bodies with mediums. Yet another may be to take a readily available small, folding, adjustable height table to the beeyard2. When removing honey supers to inspect the brood chamber they may be placed on a waist high table rather than on the ground. And when lifting supers at all is a challenge there is the Kaptárlift hive lifter, available as a manual or electric model. It is particularly useful for inspections as it is capable of lifting an entire stack of supers at once to speedily provide access to the brood chamber. The one criticism made was that it could be unstable on very uneven ground. A similar device may be bodged with a hand truck, boat lift, some angle iron, and a little welding. Another challenge is strength in the hands or fingers that may be lacking or easily exhausted. That can make using the typical cut-out handholds of a hive body difficult. Enter the weight-lifter hook. 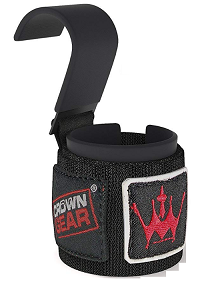 The padded strap goes around the wrist providing a strong metal hook on the inside of the forearm. The hook is not large enough to interfere with most hand work but easily and securely slips into the hive handholds to hold them. Such weakness can also make wielding a hive tool for long periods difficult. 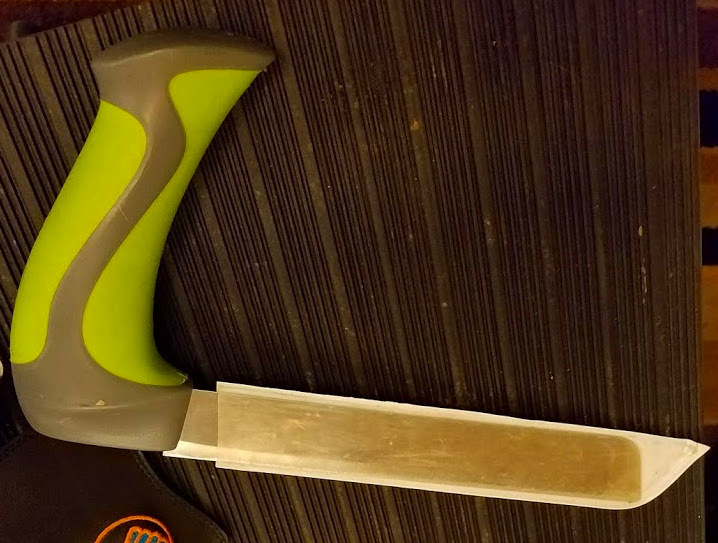 A simple DIY solution is to cut a piece of the foam insulation used around hot water pipes and fashion a sleeve into which the hive tool may be inserted. Should that prove insufficient, another solution is the Gripeeze. It looks like a mitten with a large velcro flap on the palm side of the wrist. 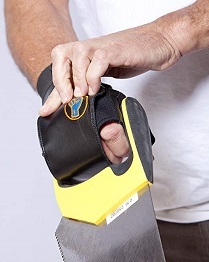 The wearer grips the tool and then wraps the flap over the top of the fingers. Even with fingers relaxed the mitten will grip the tool. Everyone’s grip loses half its strength when the wrist is cocked forward. For an already weak grip this makes scraping with hive tools or cutting with knives difficult. This can be addressed by finding or making versions of the needed tool with a right angle handle to allow the wrist to remain straight and retain all its strength. 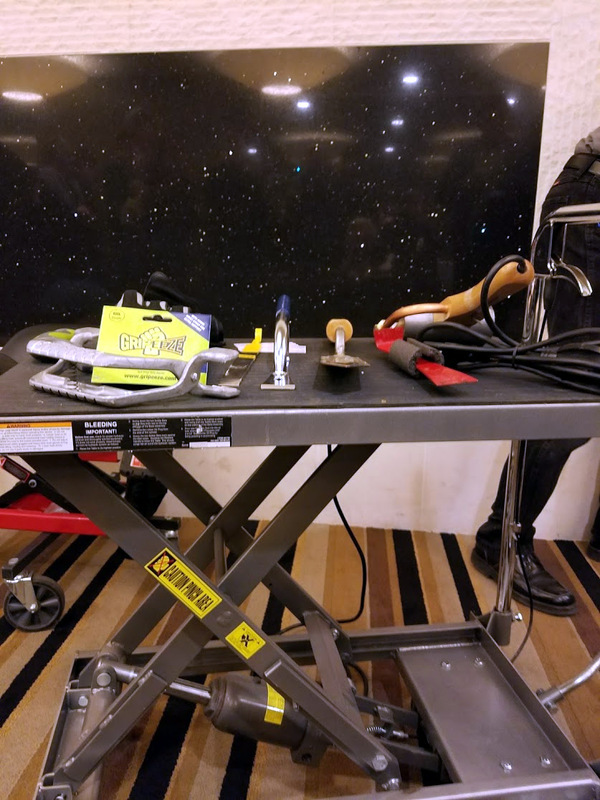 Not only did Ned present an interesting talk covering many other tips, tricks, and tools in addition to those we have mentioned as examples of the kinds of help AgrAbility can provide but he kindly brought all his gear to the gala that evening for attendees to inspect closely and try using. At present our years have yet left us sufficiently hale to not to require such assistance but be certain that we paid close attention for the future. 1We, of course, put in our two cents for horizontal hives. 2We felt a bit smug since we use such a table ourselves for sugar rolls. 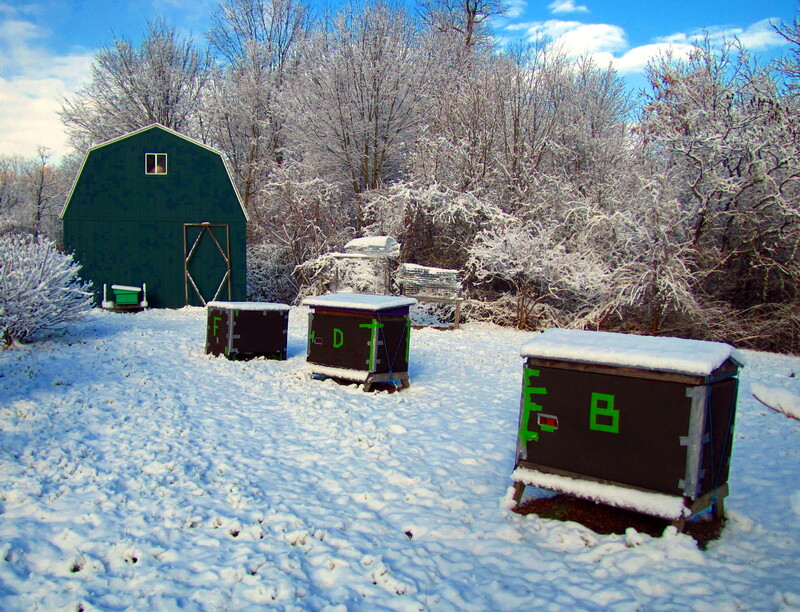 Since late November we have been engaged in the usual winter worry of beekeepers. Too cold to open the hive and see, one can only fret and hope that the clustered bees yet live and have adequate stores to last until still distant Spring. Then we fretted intensely as the cold dipped for days to negative Fahrenheit teens (-18°F/-28°C), made even worse when wind chill was factored in(-40°F/-40°C). These are the temperatures at which we leave faucets dripping and yet still may have one or two freeze shut. At last, this past weekend the polar vortex had mercy and allowed a day sufficiently warm for cleansing flights(50°F/10°C). Water again flowed freely from all the taps and we saw bees flying from all three hives! 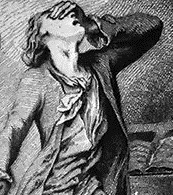 In response to such a cheering sight, we must, as is our nature, look for another reason to fret. Dorcas had a good-sized cloud while Beatrix and Frankie only had a few bees coming and going. Might they be dwindling their way to death? But we remind ourselves that their peak flights are ever at different times and the lighter traffic does not necessarily indicate lower population or distress. We may simply not be observing at the right time. With such reassurances we can now watch today’s freezing rain and return to our comfortable level of fretting as we observe that there is yet plenty of time for them to starve before springtime blooms in warmth.